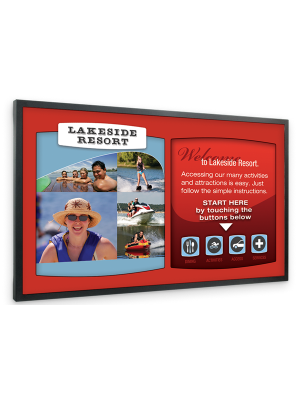 The TeamBoard TIFP55 55” Interactive Flat Panel is the perfect interactive LED screen that provides a blend of the latest technology solutions for the government, education and business sectors. Multiple users can operate on TIFP55 simultaneously facilitating team work, ultimately boosting the final outcome and enhancing performance. 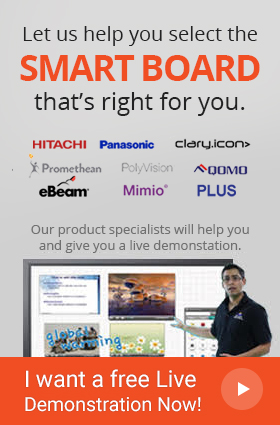 With TeamBoard 55" Interactive Flat Panel, one may be impactful in interacting with the audience using various digital content like pictures, videos, renders and other multimedia into classroom sessions and presentations. 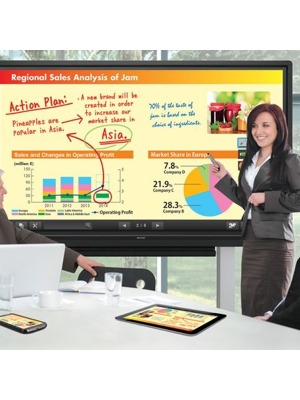 TIFP55 lets the user take notes, annotate, draw, rotate, and scale all digital content with familiar touchscreen gestures. 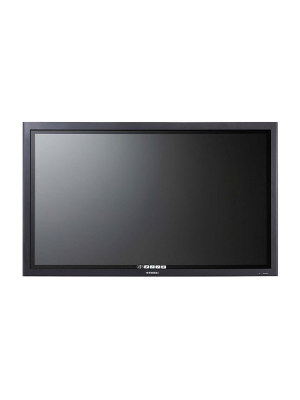 The interactive flat panel TIFP55 helps simplify complex ideas as it promotes annotations and collaborative work activities.